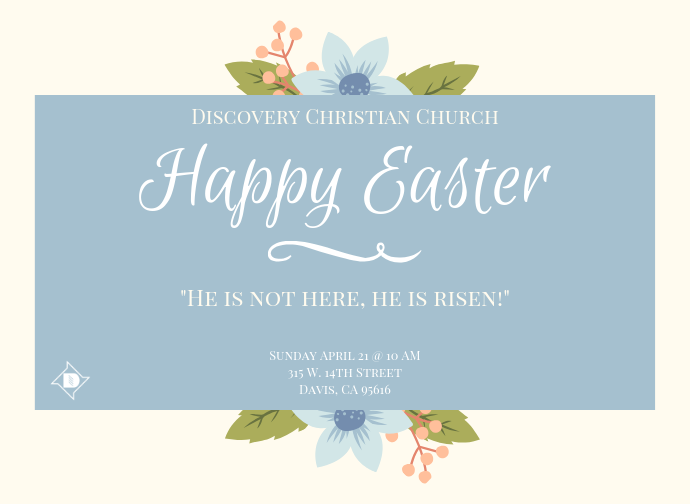 Join us on Sunday, April 21st at 10AM for our annual Easter Celebration at Discovery! Come as you are and join us for a family-friendly gathering full of dynamic worship, an encouraging message, and a baptism celebration for those who have chosen to follow Jesus! Stay after the gathering for a time of refreshments and socializing. If you have questions about baptism or would like to take this next step forward in your faith, email ROLI@discoverydavis.org.